If I Am Not Able To Go Back To Work Right Away After My Chicago Motorcycle Accident, Will I Be Reimbursed For My Lost Income? Yes. Illinois law allows a person injured in a motorcycle accident to recover lost wages as an element of damages. A wage loss claim may be presented during settlement discussions with insurance companies or at trial. Not only can you file a claim for time and wages lost from work directly after the accident, you can also file for future time and wages lost if you are not able to return to your job. Many motorcyclists are severely injured and may not be able to return to their same occupation and have a right to pursue compensation for the loss of income. For people with significant injuries related to a motorcycle crash, it may be unrealistic to return to their job at the time of an incident. In these circumstances, Illinois law allows you to present a claim for loss of earning capacity. For example, if you were a construction worker earning $65,000 per year and your injuries prevent you from returning to that profession, but you can get an office job making $30,000, Illinois law affords you the opportunity to recovery the difference between the two salaries for the remainder of your working life. In a situation where your injuries prevent you from engaging in any type of work, Illinois law allows you to present a claim to recover the wages you would likely earn over the course of your working life. 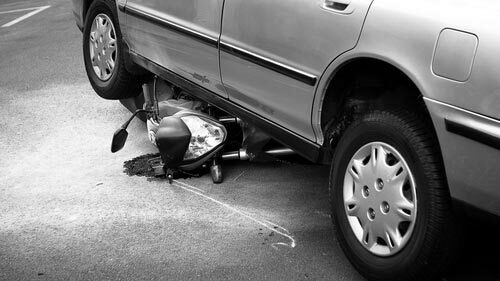 Do You Need Help Making a Wage Loss Claim for Injuries Related to an Illinois Motorcycle Accident? Rosenfeld Injury Lawyers LLC appreciates the uncertainty that accompanies a situation where injuries may prevent you from returning to a job. Our attorneys work with some of the leading vocational counselors and economists to present the most favorable wage loss claim for your situation. Contact our office today for a free review of your case and a frank discussion of the recovery available to you under Illinois law. Do I Have Any Recourse For Injuries Sustained In An Illinois Hit and Run? Do I Have To Answer The Insurance Adjuster? Do I Need An Attorney To Settle My Illinois Motorcycle Accident Case Or Should I Try To Do It Myself? Do I Need To Get Medical Assistance After A Motorcycle Crash Even If I Only Have Minor Injuries? I Was Found "At Fault” In The Police Report That Was Filed. Does This Mean I Do Not Have A Chance In Filing An Injury Motorcycle Accident Case? Is There A Time Limit In Illinois on How Long After A Motorcycle Accident That A Lawsuit Can Be Filed?